while you enjoy the shore. Use our online grocery cart to customize your shopping list at least five days ahead of your arrival date. We contact you by phone to confirm your grocery order and payment information. We shop for your personalized shopping list. Special grocery orders and last minute requests are welcome. We also offer beach and baby rentals. 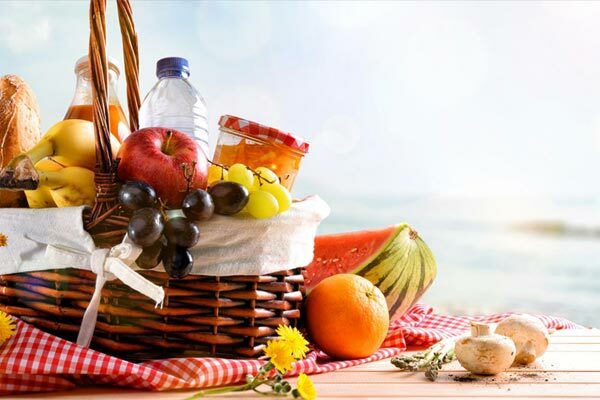 We personally deliver your groceries to your vacation property and neatly arrange them in your refrigerator and pantry — leaving you more time to relax! Welcome to the beautiful beaches of Northwest Florida’s Emerald Coast. Don’t waste precious vacation time grocery shopping–let us do it for you! Imagine arriving at your vacation rental or home and finding it fully stocked with everything you need the moment you walk through the door. Deli items, fruits and vegetables, fresh seafood, toiletries, baby products, and more can all be ready and awaiting your arrival. We also offer beach and baby rentals. Now that’s the way to start your Emerald Coast vacation! 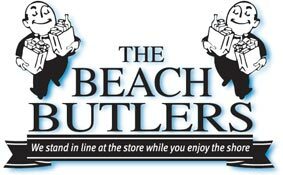 Established in 2004, The Beach Butlers proudly serves Florida’s Scenic Hwy 30A which includes Dune Allen Beach, Santa Rosa Beach, Blue Mountain Beach, Grayton Beach, WaterColor, Seaside, Seagrove Beach, WaterSound, Seacrest, Alys Beach, Rosemary Beach, Inlet Beach and Carillon Beach. We also provide grocery delivery and beach and baby rentals (such as cooler rentals, beach chair rentals, beach wagon rentals, playpen rentals, high chair rentals, play yard rentals, and baby booster seat rentals) to Panama City Beach, Sandestin and Destin. How do I place a grocery order with The Beach Butlers? It’s easy! Simply place your grocery order using our online shopping cart a minimum of five (5) days prior to your arrival date. In a hurry or have a large order? You can also email or text us your list! Please be as specific as possible. If your preferences are unavailable a comparable product will be substituted. We will contact you by phone to confirm your grocery order and payment information. Specialty orders are non-refundable. For last minute orders, we will make every attempt to accommodate your request. A small service fee may apply for last minute orders. You can get answers to frequently asked questions on our Terms & FAQs page. Are you ready for more beach time?